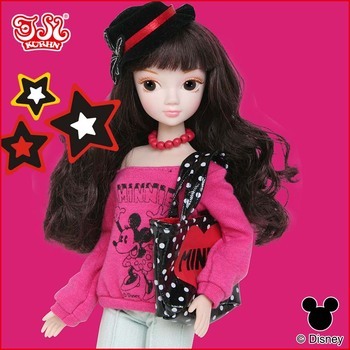 Chinese doll Kurhn bonnily plays with classic Disney: handsome, free and sunny Mickey, fashionable and sweet Minnie..
A brand-new fashion experience, all in our Disney theme series. Taking Minnie’s sweet image and element, with design of Kurhn Doll’s clothes and accessories, we show the most sweet charm of Kurhn. Founded in 2004, Guangdong Kurhn Toys Co., Ltd. is a fully reinforced toy and gift manufacturer with R&D, production, sales and marketing services. There are 2 factories with more than 500 staffs in Guangdong and Yunnan province which cover the area of 15,000 square meters. The annual output can reach 2 million pcs and the annual sales in 2013 was over USD15 million. 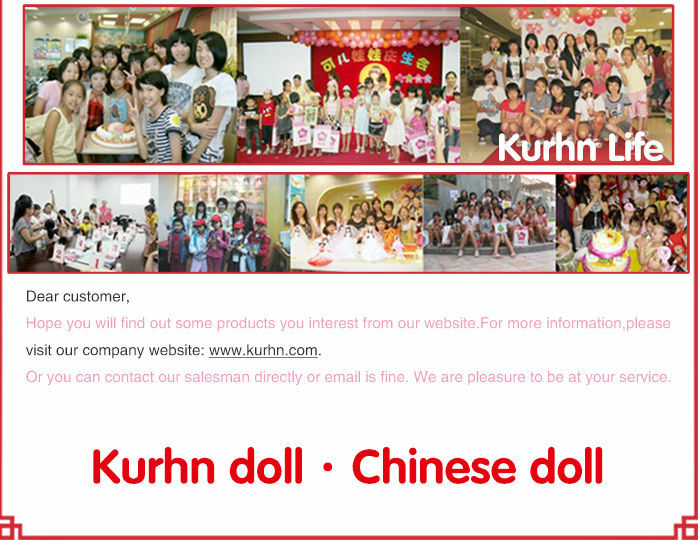 150 people marketing term work and 50 excellent P&R people work not only for our own brand doll Kurhn but also cooperating with worldwide famous brand, such as Disney, P&G and so on. 1.Sample order : Welcome. When you place order,we will return you back this amount. 3.Display : We are professional in store display. We can set the best display plan for you from our side. 4. In order to support our client, we can supply showcase, standing, postcard and other promotion things depending. ~disney] disney 1 2 disney ???????????? ?